Now I know Grandpa asks silly questions all the time. "Son, this is based on my personal experience. I was with a friend today. He made a gesture. By making this gesture he showed me that 3 can mean 6." What gesture did Grandpa's friend make? 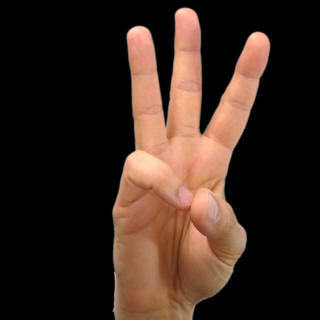 3 fingers represents 6 in American Sign Language. The Roman Number III = VI With the First two lines joined together at the bottom? If three is a crowd, six could be a crowd too. If grandpa was talking about having guests somewhere and if you have three guests it is a crowd, and if you have 6 it is also a crowd. Grandpa and his friend return home after a long night at the bar. "Look grandpa," his friend says, holding up 3 fingers. "How many fingers am I holding up?" Even though the world spins around in circles, grandpa manages to focus his eyes on his friend's hand. The fingers blur and seem to split in two. "6," he breathes. "6 fingers." In English, 6 is the third 3-letter number (1,2,6). 3 (numbers) can mean (average to) 6, e.g. the three numbers 4, 5, 9. Grandpa agreed to meet his friend at 3, the friend didn't arrive until 6. ...the answer will be six with the help of using $3$ only. Is it because six has 3 letters? The gesture Grandpa's friend made was the sign for the number 6 in American Sign Language. 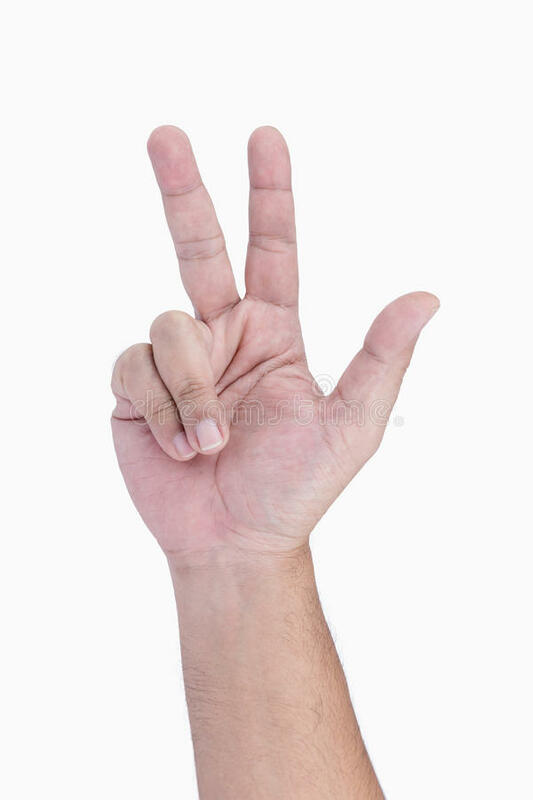 The sign consists of pointing your three middle fingers up while connecting your pinky and thumb, palm facing forwards. A picture of it can be found here. Apart from being language and gesture related, it does not involve math, and a previous question has indicated Grandpa lives in the U.S. When $$a(3)=6$$ According to OEIS, this is over $180,000$ results. In English, we would say, 'when is a(3) equal to 6', but if you were a big OEIS fan, and you know all sequences use 'a' terms, so you drop the sentence's reference to 'a' - 'when is 3 equal to 6?' is what you might say. Some users here might find this answer sexist, but unfortunately, it is true. In some countries, the legal status of a woman is worth half of that of a man. The testimony of six women equals to three men. The “one, two, many” theory is that cultures developed words for “one” and “two” before anything else, and any numbers after are referred to as “many”. So three could be equal to six. This answer is "language related". Grandpa and his friend were out clubbing tonight (grandpas can go clubbing too!). The friend went to get some drinks. Seeing the queue at the bar, he thought he could order all drinks of the night in one order so he would't have to queue again. So he turns to the grandpa, trying to ask him how many he wants. But grandpa doesn't understand him, since the music is too loud and grandpa's hearing could be a bit better anyway. So what the friend does is achieve eye contact with grandpa and hold up three fingers, mouthing the word "three drinks?". Grandpa is a little confused by that number and just agrees, nods, and puts one thumb up. He thinks maybe his friend picked someone up already and that would be why the friend wanted to get three drinks. But what the friend was actually asking if grandpa also wants 3 drinks for the whole night. So when grandpa affirmed "three", the friend went ahead and bought six. 3 = 6. QED. Three can's, each one have 2 bottles so its 6 !! It is about food. Every guest eat for two. Not the answer you're looking for? Browse other questions tagged lateral-thinking knowledge language or ask your own question.